And while it’s hard to say how high his hopes were at the time, EA Murphy was the man who moved some of that rubber tree plant into a blender to become what mattresses, motorcycle seats and more are made from. In its natural form, latex is a milky white liquid tapped from the trunks of rubber trees. 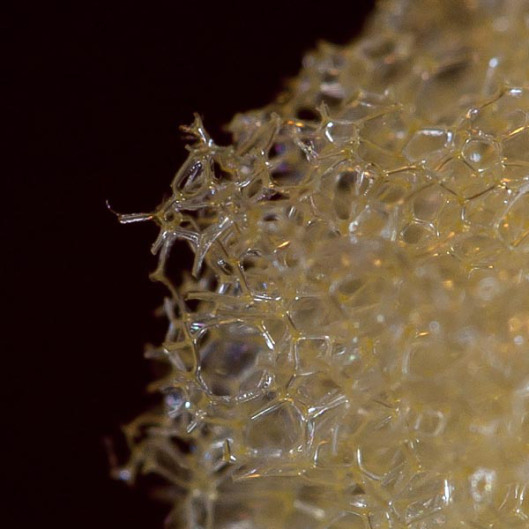 This pure latex gets whipped up with water to create a thick froth. The froth is sometimes exaggerated using CO2 gas. Once frothy, the mixture is heated to the point of vulcanization (about 240°F) which results in the formation of long molecular chains with strong cross-linked bonds, giving the resultant foam rubber its ability to recover its shape after compression. But, whether EA Murphy the scientist and employee of Dunlop Latex Development Laboratories got a raise and a promotion, we may never know because most of what’s to be found about Murphy’s memory is limited to the foam. The application for a patent was filed on July 10, 1972. No more ironing, added comfort and electrically charged shoes? Oops, looks like it’s time to tap on the trunks of those rubber tree plants with high-fives of hope for the future of foam – no ants required.